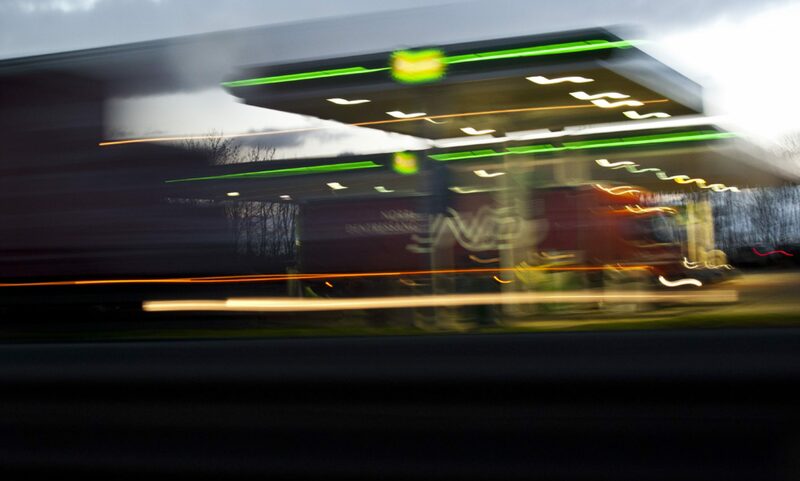 As commuters in the south of England are paralysed by a 5-day strike of train drivers, this article in Downstream Today discusses the different approaches to strike action between Europe (well Norway) and the US. The first half of 2016 was riddled with numerous threats of strikes by oil and gas workers across the world and many made good on their threats. 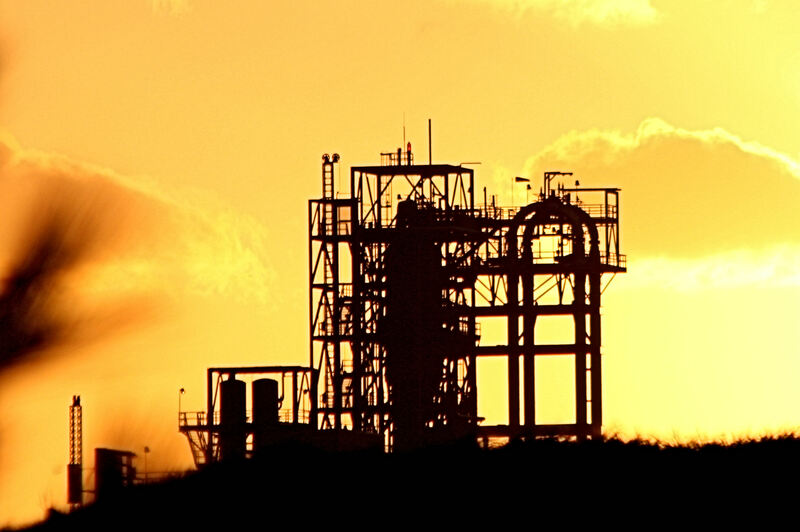 Of course as Oil and Gas prices fall, companies have to make savings including redundancies as well as pay cuts. But in North America, particularly the United States, workers aren’t afforded the same protections and the threat of a strike doesn’t hold the same weight. Oil and gas workers are paid well in times of an industry boom, which is part compensation for the risk that they may be laid off if oil prices drop. While this sentiment may be true, it doesn’t make it any easier to absorb a 33% cut in salary as I’ve experience over the past 18 months – although a 33% cut is far better than a 100% cut! Two new stories emerge today that underline a new dominance that Saudi Arabia is creating in the Oil Industry. It is well known that as the most influential oil producer in the World, the actions of Saudi Arabia have significant influence over the global crude oil price (crude oil is a stabilised product that is sold to refineries around the world to be turned into ‘refined’ products such as gasoline, kerosene, diesel etc.). In recent months Saudi has been increasing its output (as previously reported here) and will probably exceed Russia in the first two quarters of this year to regain top spot as the World’s largest oil-producing nation. Well firstly, the statement that China is demanding more oil suggests an upturn in the global economy which is a good thing for all of us. Secondly, additional refining capacity at state of the art (e.g. high efficiency) refineries located right next door to the oil sources will enable Saudi Arabia to make good margin on refined products during periods of low oil prices, which will enable them to sustain low crude oil prices for longer if they wish – this will hurt oil producers with a higher break-even price. Finally, as well as flooding the market with cheap crude oil, they will also be able to supply cheap refined fuels across the Arab region and the wider world, putting further pressure on European refineries which are already struggling with high energy costs, aging plants and lack of investment. This in turn could lead to the closure of UK refineries, lost jobs and a greater reliance on imported fuels. Governments across Europe (including our own) have failed to see this coming and continue to bicker over CO2, emissions, green renewables, taxation etc. Within the next 5 years it will become apparent to all that we are firmly in the grip of the Middle-East when it comes to our crude oil and refined fuels. After my recent post (on my politics blog) about oil reserves around the World, I received a comment with a couple of questions that I thought might make a good follow-up article on this blog. okay. I’ve always wanted to ask this question of someone, now’s my chance….. hope you have the answer Paul…..
How many gallons (or even litres!!) are there in one barrel (in terms of crude oil I think). I realise crude needs to be refined to get what we call petrol etc, so maybe a secondary question, how many gallons of petrol do we get from one barrel? The amount of petrol (gasoline) that is distilled from a barrel of crude oil depends on the type of crude, which varies enormously across the World. There are many variables and impurities including; sulphur, metals, paraffins (wax), nitrogen, oxygen etc. that all impact the way the crude is processed. The main variable however is the assay of the crude which determines how much of the various fractions are present to form the main refinery products; natural gas, propane/ butane, gasoline, diesel, fuel oil, heavy fuel oil, bitumen etc. There are a number of grades of crude oil; ‘Light’ or ‘Extra Light’ contain larger quantities of gasoline and are correspondingly more expensive. 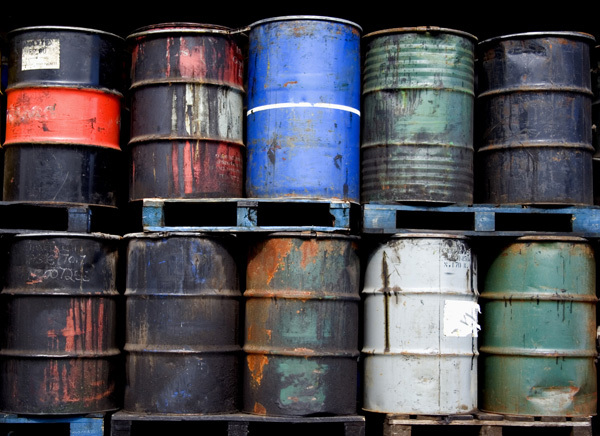 A medium crude contains less gasoline and more heavier material. A heavy crude may contain 70% heavy material and is very difficult (and expensive) to process but is also a lot cheaper. The aim of a modern refinery isn’t normally to just separate the various components of a barrel, but also to ‘upgrade’ heavy products into lighter, more saleable products through a number of energy intensive (usually high temperature and high pressure) processes. These cause the longer heavier carbon chains to ‘crack‘ into shorter lighter (more valuable) chains. 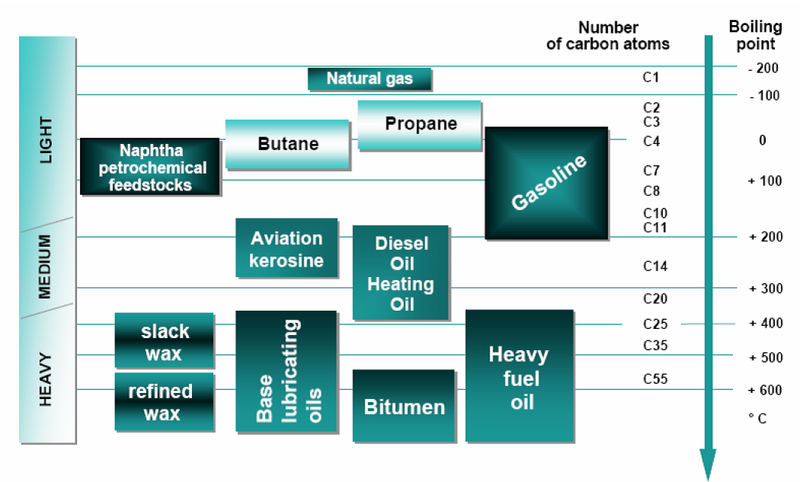 Different refineries are set up in different ways. 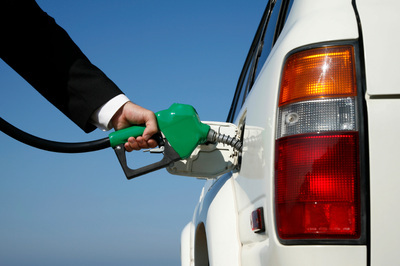 Some aim to produce more gasoline, others more diesel. 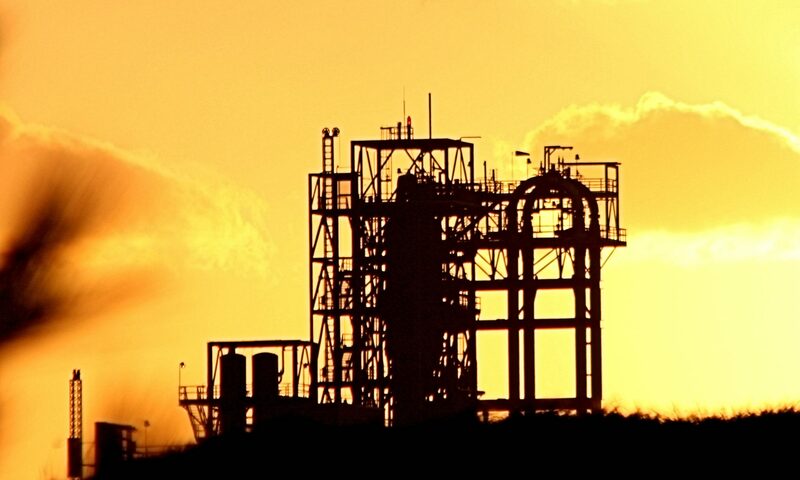 Some will specialise in ‘bottom of the barrel’ processes – meaning they are built to process heavy crudes and residues – others will be simple topping or hydroskimming refineries. 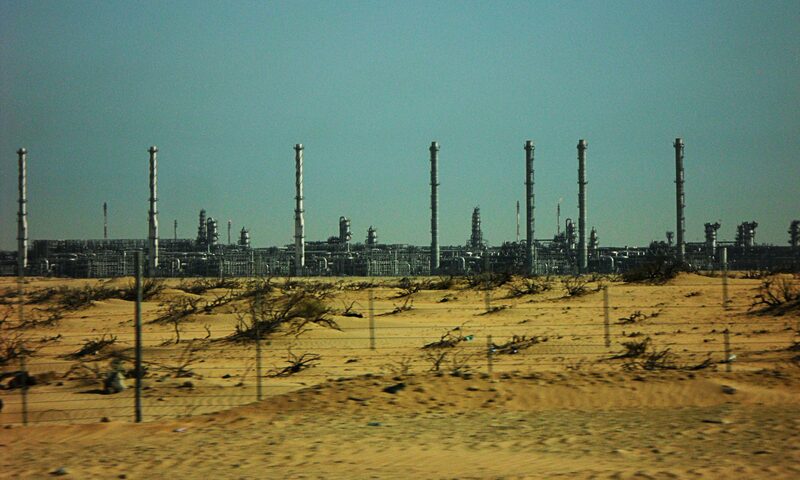 This recent report shows how fragile the refining business is. 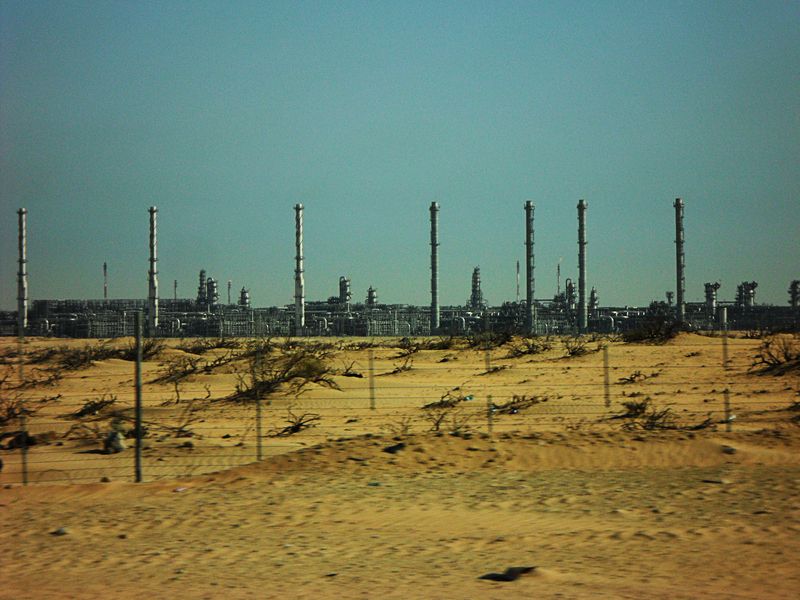 New refineries in the Middle East, that have been in planning and development for many years, are now coming on stream but producing the wrong products for a market that changes far more quickly. “The configuration of the plants, designed to maximize diesel production, seems somewhat at odds with market trends that in recent months have shown stronger demand growth for gasoline and jet fuel than for middle distillates,” the agency said in its Oil Market Report. It’s a risky market – people would do well to remember that when they complain about the ‘massive’ profits of the Oil Majors. We read constantly about the hard times that refiners are having in Europe, and how narrow the margins are, but in a recent article in Hydrocarbon Processing ExxonMobil are upgrading their Slagen refinery in Norway with a new residual flash tower. This is on top of a recently announced major upgrade at their Antwerp facility. What do we read into this? Either times aren’t quite as tough and there is money to spend on further improvement, or margins are really tight and improvements are being made to keep the operations viable. On a personal note, I was offered a job with Exxon Mobil a few years ago and was very tempted, it was just the location down in Southampton (and moving Vicky out of school) that held us back. It also reminds me of a Crude Unit study I worked on a few years back where we added a Flash Tower to a crude column – to improve operability and enable the refinery to process different crudes from those it was designed to handle. Ahh the good old days of Process simulation and plant modelling – these days I spend most of my day playing with manpower plans and justifying progress, I do miss the technical days, some times.